The cost to attend the weekend Summit is $60/person, registration is available online using the link below. All are welcome!! 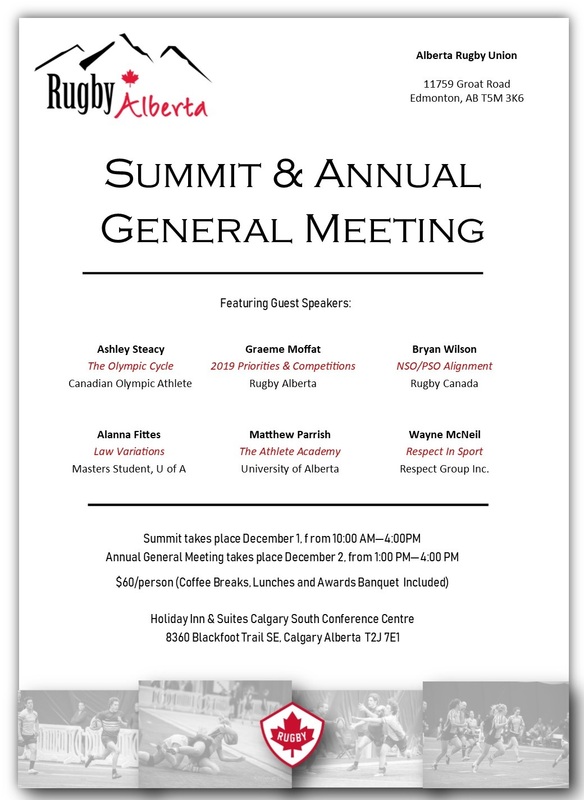 This registration fee includes access to all Summit workshops and a ticket to the Rugby Alberta Awards Banquet. 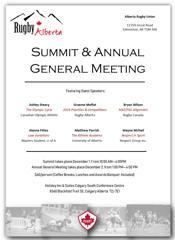 A full Summit Schedule, with topics, guest speakers and payment information is available attached to this email and on our website at the LINK or by clicking the images on in the side bar. Coach of the Year (Online voting, nominate your coach(es) here! Volunteer of the Year (Online voting, nominate your volunteer(s) here! Please also remember to submit voter information for the AGM prior to November 15, 2018. Please use the below online Sign-Up form to do so . 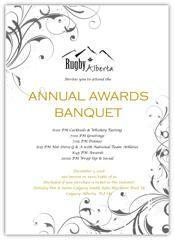 Rugby Alberta has committed to providing each out-of town-club with 1 free hotel room at the Holiday Inn & Suites. Please use the Sign-Up form to let us know if you will require the hotel room as well as a list of all individuals staying in the room. 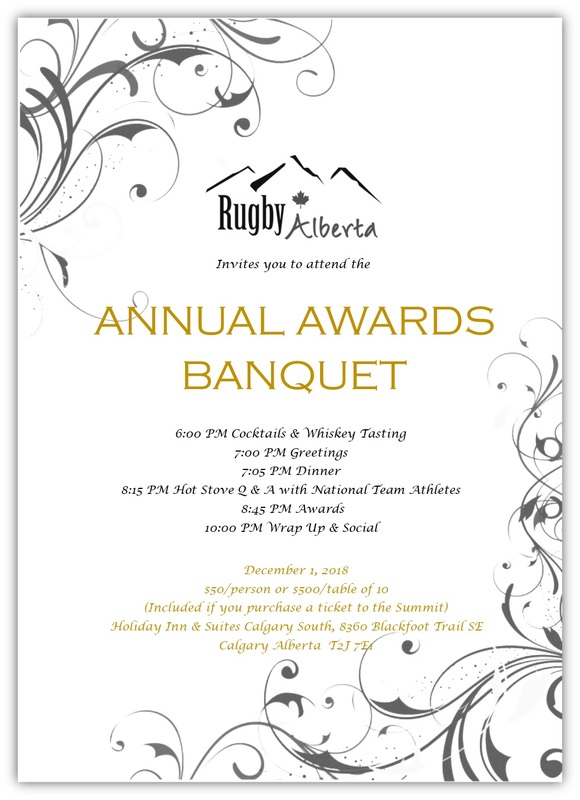 Should you have any questions or concerns regarding the information in this email please don’t hesitate to contact Eve Fletcher at Rugby Alberta.